Over the years I’ve had friends and colleagues talk about opening businesses...a yarn shop, a consulting business, a specialty book or toy store. Most do just that ...talk about it, few actually make the move. Well, friend and colleague, Kira O’Donnell Babich talks the talk and walks the walk, opening The Real Pie Company in Sacramento recently. What a gem. The most delicious pies in the state. I came in on a busy Sunday and got in line to purchase multi-berry and nectarine hand pies and a lemon-coconut macaroon tart. 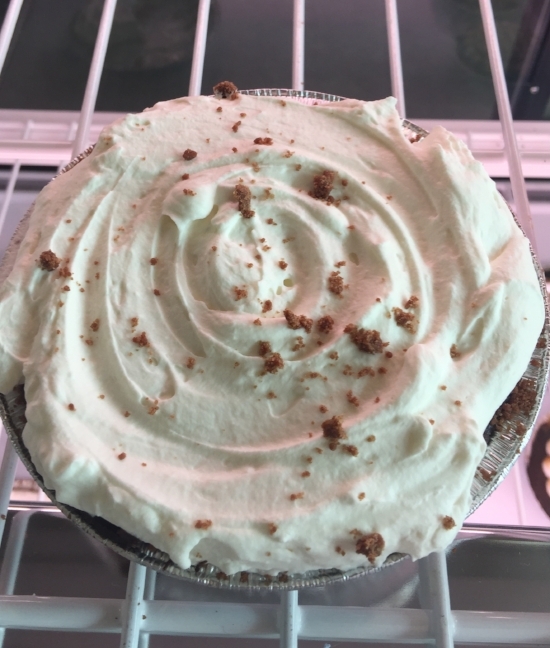 Other specialties include strawberry cream, banana-butterscotch cream, chocolate cream, and coconut cream mini pies. Galettes are a speciality and are as delicious as they are beautiful. On the savory side, Kira sources local tomatoes and has made a fabulous cheese tart with tomatoes. She also has Shepard Pie, chicken pot pie, and a 3 cheese mac n’ cheese with broccoli pot pie. Kira’s butter-based pie crusts are made with care in the the 64 degree prep room to ensure proper temperature for perfect dough. She procures seasonal produce from local growers for all the fabulous baked goods. I am so proud of and pleased for Kira and her husband Fred. They work long hours at something they love. That’s what it’s all about. If you live locally, run, don’t walk to the Real Pie Company. It is worth a trip across town, across the state or across the country to enjoy a piece of delicious paradise.